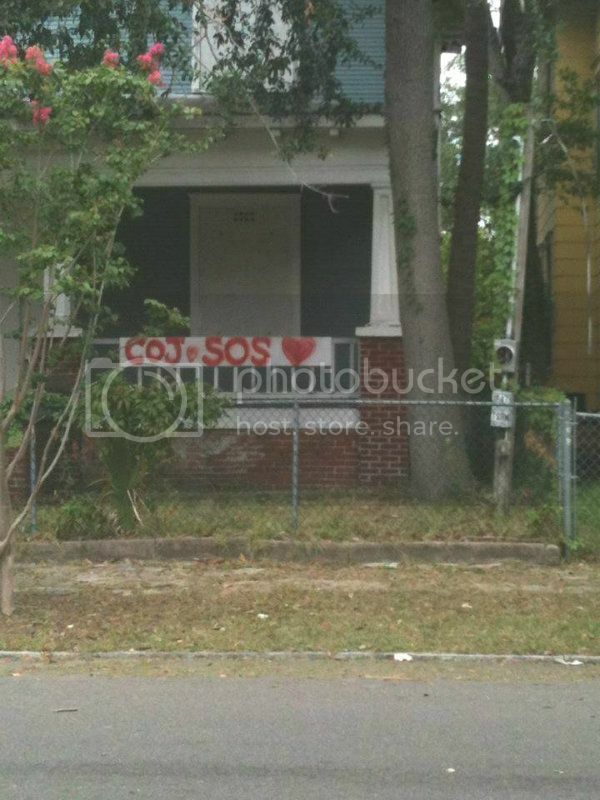 This house is not owned by Preservation SOS. However, the house is in Code's cross hairs and as threatened with demolition. Someone HAS to mow this house this weekend. It is one we have fought for, we need to get it cleaned up. The front yard is small and it wouldn't take long -- just a weed whacker. All of my time and energy are being used constructing. It has a violation on the fence. If Dad can get our weed whacker up and going I'll pay Ed. We have two weed whackers both broken -- don't bring up the topic to Joe Joe (very sensitive). If you get a whacker, I'll get someone to whack. Nicole's weed whacker is still broken. Can someone do this? Done and done with supplies and new weed whacker courtesy of CASH MOB! What is the violation on the fence? The back yard still needs to be done.